The British Garrison Cemetery is probably not the most popular tourist attraction to visit while you’re in the beautifully rich island of Sri Lanka. However, the cemetery, eerie feelings aside, is probably one of the most beautiful in the country. Located in Kandy, the cemetery can be found in the heart of the city, closer to the popular and most sacred Sri Dalada Maligawa. Although most hotels such as Cinnamon Citadel Kandy will have planned tours that will take you to the popular tourist attractions in Kandy, it might not include the British Garrison Cemetery as one of the items on your tour list, so do make sure you visit it before heading back to your hotel in Kandy. 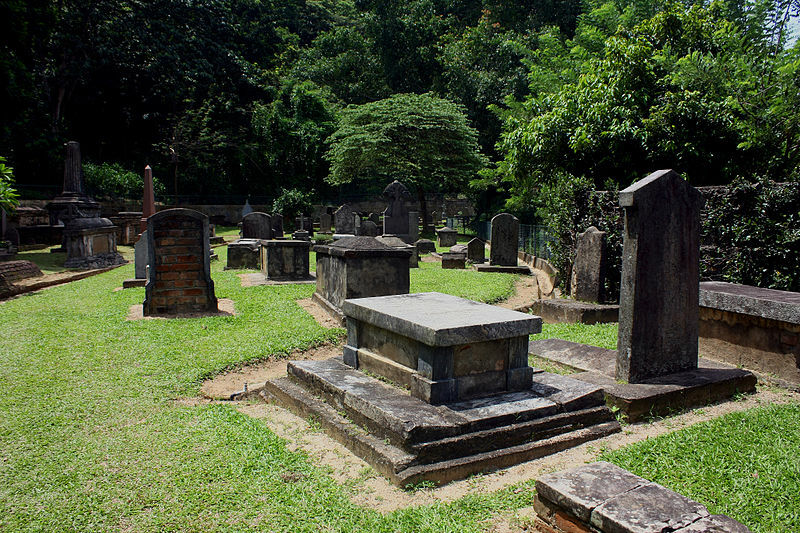 British Garrison Cemetery is a cemetery that was established in 1817 for British nationals who occupied the city of Kandy, but was later closed in 1873. The cemetery is known to hold around 195 graves of women, men and children and the last person to have been buried in the cemetery was Annie Fritz in 1951. It has been known that one of most common causes of death at the time were due to malaria or cholera. The entrance of the cemetery is marked by an old chapel which has now been converted to a museum that holds an exhibit of photographs and documents with relation to the restoration of the cemetery. The Cemetery is open to visitors from 8 am to 6 pm and is managed by the Trustees of St. Pauls Church. Although there are currently no burials held here since 1873, visitors are encouraged to walk through the paved pathways and stone tombstones. For those interested in learning more about the history of the British Garrison Cemetery, a famous author known as John Penry Lewis wrote about it in his book titled “List of Inscriptions on Tombstones and Monuments in Ceylon, of Historyical or Local Interest with an obituary of Persons Uncommemorated”.